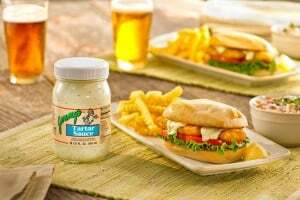 Along with all the dressings and dips we still make the tartar sauce that originated from Jimmy’s own restaurant, The Fish House! 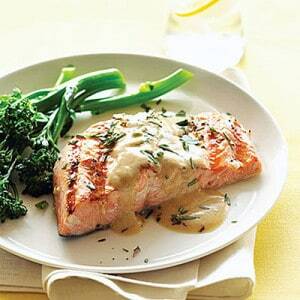 Grilled Salmon with Holy Smoke! 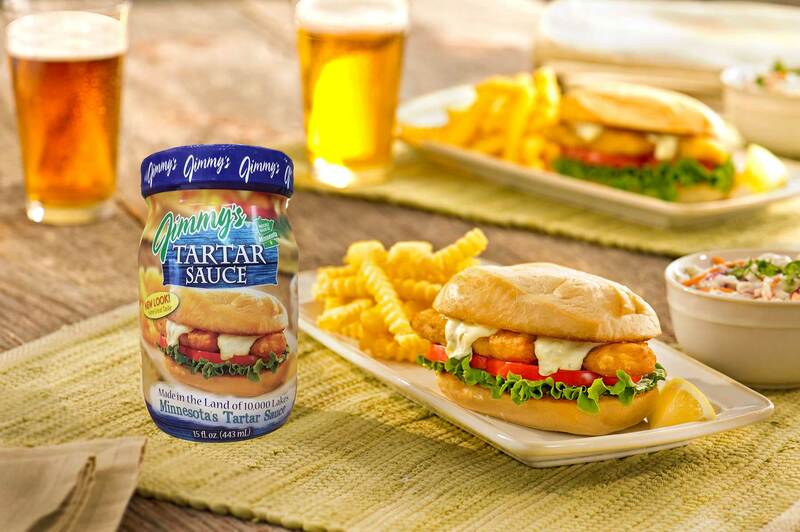 Now two great ways to have Jimmy’s Original Tartar Sauce! For those that like to scoop Jimmy’s from the jar and for those that like to squeeze it from the bottle. 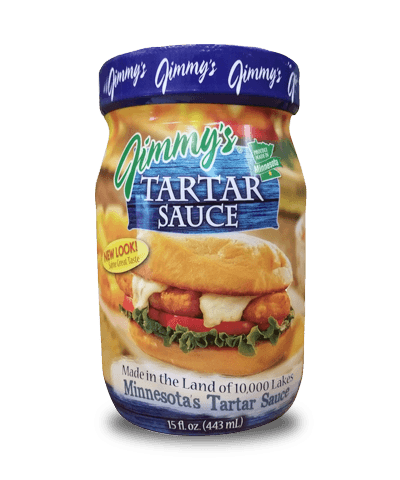 Both are filled with Jimmy’s delicious Original Tartar Sauce and like our dressings are made from the finest ingredients to enhance the flavor of your seafood, not cover it up! Not a significant source of Vitamin A, Vitamin C, Calcium, and Iron. * The Percent Daily Values are based on a 2,000 calorie diet. 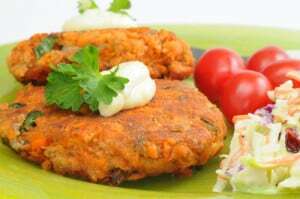 Soybean oil, egg yolk, water, sugar, vinegar, salt, spices, lemon juice concentrate, natural flavor, cucumbers, high fructose corn syrup, alum, xanthan gum, calcium chloride, potassium sorbate (preservative), dehydrated red bell peppers, polysorbate 80, turmeric (color), parsley, potatoes, onion, fresh ground horseradish, distilled vinegar, and artificial flavor. 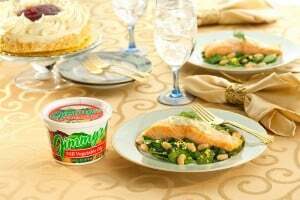 This premium quality tartar sauce enhances your seafood experience… it doesn’t cover it up. 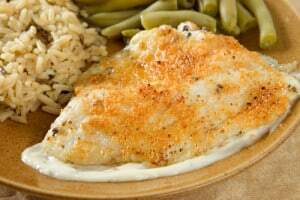 Its subtle flavor brings out the best in walleye, shrimp, scallops or anything from under the sea! 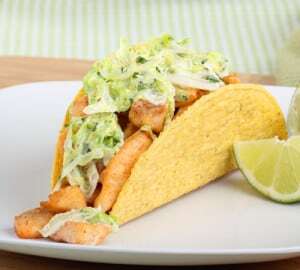 And don’t forget to try it with your favorite fish and chips!